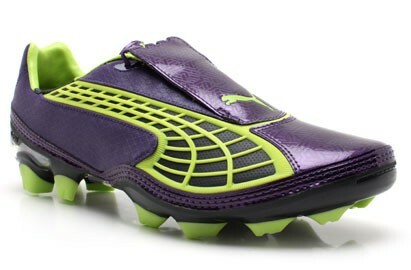 Completing the trio of new Puma football boots releases is the v1.10 speed boot in Parachute Purple/Tender Shoots/Ebony. Using the same colourway as the v1.10SL, these new V1.1o’s are definitely an eye-catching colour combo that are really going to make Puma wearers stand out on the pitch when they’re released October 30th. 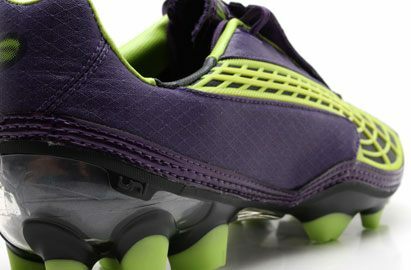 The Parachute Purple/ Tender Shoots palette is definitely reminiscent of the Chameleon Purple/ Electricity of the Leo Messi adidas F50 adiZero, so we can only assume that Purple/neon is the football boots colourscheme that’ll be lighting up our gloomy winter pitches over the coming months! 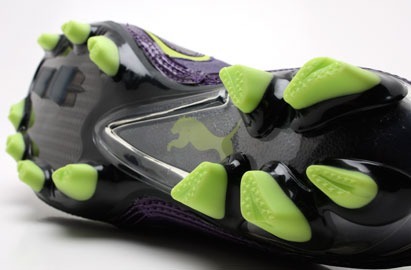 As for who will be wearing this slick v1.10, it’ll be very interesting to see who makes the jump over to v1.10, as many players who previously favoured the Puma Speed football boots have made the jump elsewhere – like Peter Crouch who now plays in the PowerCat 1.10 and Samuel Eto’o who now favours the v1.10SL Lightning. 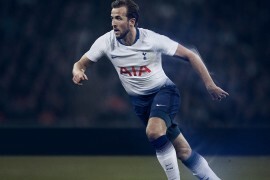 Previous articleHAVE YOU GOT WHAT IT TAKES TO SCORE AT WEMBLEY? 9.8 out of 10?! These better be almost perfect then. I actually think these look better than the SL, the colourway i mean not the actual boot. I cant believe this! 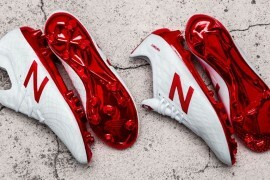 They look exactly as the chameleon adizeros and the others as the color that nike chose for the wc(the elite). Wait, what the hell is this? Why do puma even have the regular v1.10 anymore? 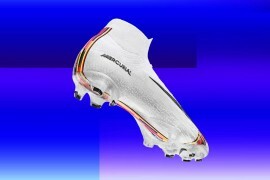 Its not light, its awkwardly shaped, no pros wear it, the touch is weird…and again…they arent light!! !